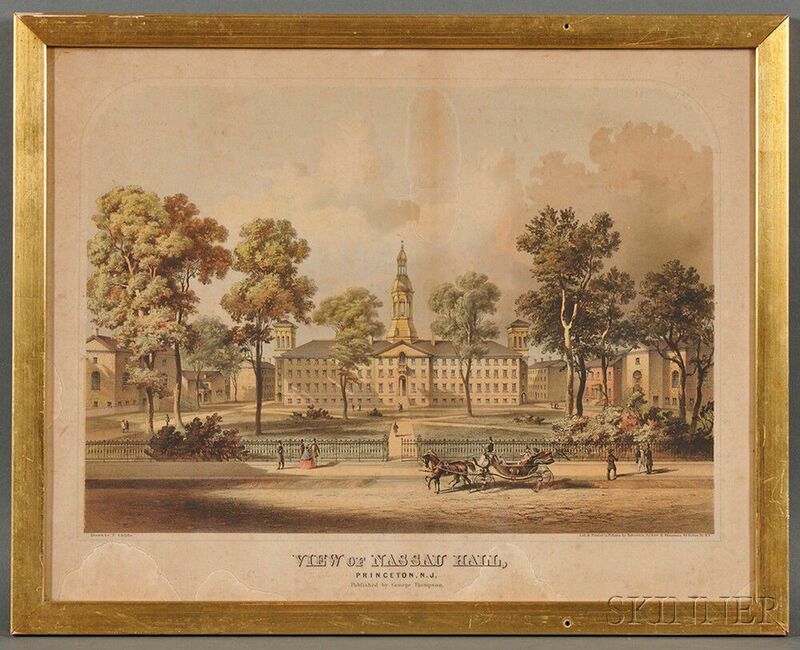 George Thompson, publisher (New York, 19th Century) VIEW OF NASSAU HALL, PRINCETON, N.J.
VIEW OF NASSAU HALL, PRINCETON, N.J. Chromolithograph on paper, identified in inscriptions in the matrix "Drawn by F. Childs" and "Lith. 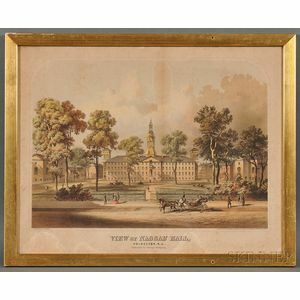 & Printed in Colours by Robertson, Seibert & Shearman, 93 Fulton St N.Y.," 16 3/4 x 21 1/2 in., in a gilt frame. Condition: Staining, toning, foxing.